Google's Eric Schmidt wrapped up a controversial trip to North Korea on Thursday during which he urged the isolated state to embrace the Internet or face further economic decline. Former New Mexico Gov. 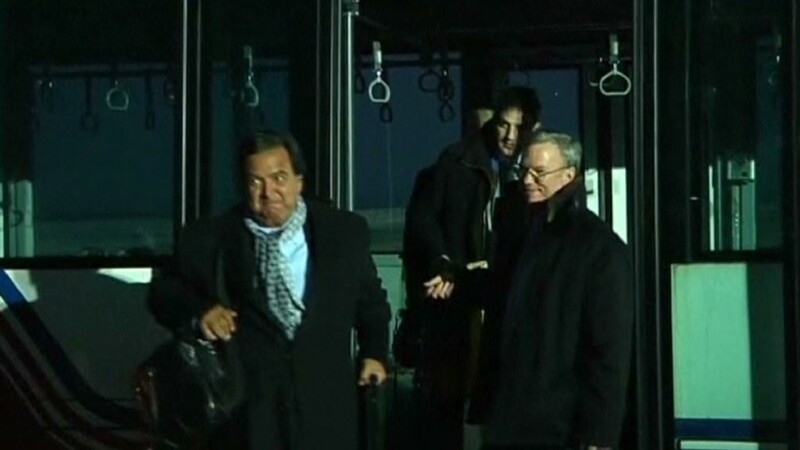 Bill Richardson, who accompanied Schmidt on the trip, told reporters that the visit had been productive, and said the delegation had advocated more open access to information in North Korea, and a stop to missile launches and nuclear tests. Schmidt said continued isolation in an increasingly connected world would make it harder for North Korea to catch up economically. "We made that alternative very, very clear," he said, after arriving back in the Chinese capital Beijing. "They have to make it possible for people to use the Internet, which the government in North Korea has not done. It's their choice now." Richardson had described the trip as a "private humanitarian mission." And it was thought that the delegation would try and negotiate the release of an American, Kenneth Bae, who had been detained in North Korea. By Thursday, it was clear that effort had failed. The delegation, Richardson said, did not meet the country's young leader Kim Jong Un, and the most senior official to meet with the group was a vice minister. Many North Korea watchers remain puzzled by the presence of Google's executive chairman in the delegation. High-profile visits to North Korea by American business leaders are rare, and Schmidt's trip is certainly the most notable example since Kim was installed last year as the country's leader. 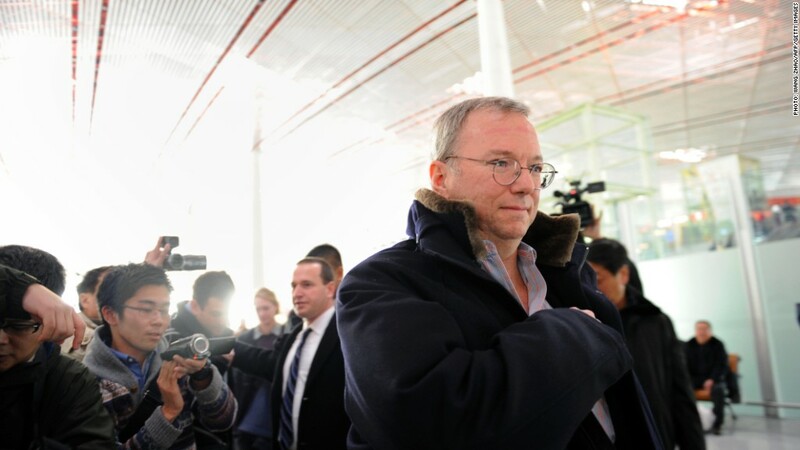 In a statement issued last week, a spokeswoman for Google said the company does not comment on "personal travel" by its executives, a sign that Schmidt was not making the trip at the behest of his employer. The trip was also made over the objections of the State Department, which is trying to manage fallout resulting from a successful rocket launch carried out by North Korea in the face of international condemnation. The State Department said last week that the trip was ill-timed. "Frankly we don't think the timing of this is particularly helpful, but they are private citizens and they are making their own decisions," spokeswoman Victoria Nuland told reporters. "They are well aware of our views." Jared Cohen, a former State Department official who now leads Google's in-house think tank, was also on the trip. And the Associated Press reported that Schmidt's daughter, Sophie, joined as well. Earlier in the week, Richardson, Cohen and Schmidt toured Kim Il Sung University in Pyongyang, where computer science students showed off their web-surfing skills. North Korea's Kim has expressed a desire to increase the country's technological and industrial standing in the world, but the regime's plans remain largely undefined, and observers caution that no significant changes are expected for a majority of the country's citizens. Google (GOOG) has been expanding its presence throughout Asia in recent years but it has run into problems in China due to censorship concerns. Yet the company's problems in China are nothing compared to North Korea, where access to the Internet is restricted to a small cadre of regime officials and loyalists. It remains to be seen whether Schmidt's trip will affect the regime's extreme limits on the proliferation of technology. Schmidt, along with Cohen, have in the past written at length about the Internet's ability to empower citizens oppressed by autocratic governments. The pair are even writing a book together on the subject -- one unlikely to be published in North Korea. "Almost nothing, short of a biological virus, can scale as quickly, efficiently or aggressively as these technology platforms," Schmidt and Cohen write, according to a preview published by the New York Times, "and this makes the people who build, control and use them powerful, too."